Dr. Erwin believes it is essential to educate clients on benefits and disadvantages of all the options available so they can make an informed decision on what is best for their pet. She uses a holistic approach to treat the whole animal in order to address the current symptoms as well as the underlying cause. Dr. Erwin teaches clients preventive practices so they can become empowered as a vital aspect of their pet’s health care team. She is caring and compassionate. She continually strives to further her knowledge so she can better treat her patients. When it becomes time to let go of your furry family member it is her desire to provide humane in-home euthanasia so that they can pass where they feel most safe and comfortable, surrounded by their loved ones. 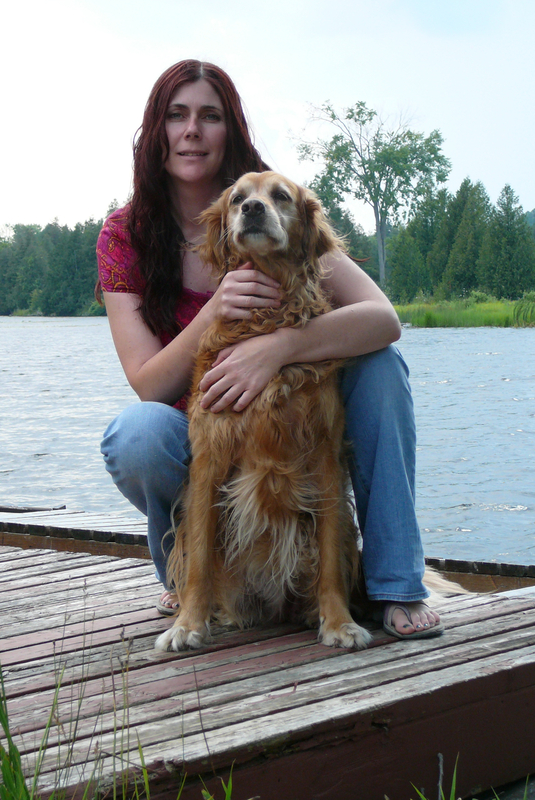 Dr. Erwin graduated from the Ontario Veterinary College in Guelph in 1995. One year later she moved to the Peterborough area and has practiced in and around the region since. In 2008 she became certified in Veterinary Acupuncture through the Chi Institute of Florida. Dr. Erwin went on to study Food Therapy and Chinese Herbal Medicine through the Chi Institute as well. In 2010/11 she attended the Veterinary Chiropractic Learning Centre and became certified in Veterinary Spinal Manipulation Therapy with the College of Animal Chiropractors. In 2015 she received her certification as a Canine Rehabilitation Therapist (CCRT). Over the years Dr. Erwin has explored a multitude of healing practices that she integrates wherever appropriate such as courses in: Reiki, essential oils, English flower remedies, Therapeutic Touch, crystal and shamanic healing.